Independence Day is right around the corner, so now is the perfect time to start planning your celebration of America’s birthday. Fortunately, Spatola’s Party Rental, a party supply rental company in Rochester, NY, has everything you need to throw the best 4th of July party. With a large supply of event rental equipment, the veteran-owned business works with members of the community to ensure their special days are a success. Grilling is at the core of every great 4th of July party, and Spatola’s Party Rental has your needs covered with a selection of cooking and grilling equipment. 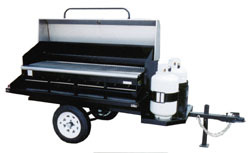 Their party supply rental inventory includes charcoal grills, rotisseries, motors, gas grills, grill tows, and propane tanks. Their catering supplies and buffet serving equipment will also be useful at your Independence Day party, with refrigerated boxes to keep beverages cool and all the serving supplies you need to dish out the food. The only thing left to pick up is the burgers! The party supply rental company also has tents that fit any size party. Whether you need a wedding tent rental, table place settings for a graduation party, or an ongoing relationship with a party supply rental company for future events, Spatola’s Party Rental will help. They have three decades of experience in the event and party supply rental industry. The 4th of July is just a few weeks away, so start planning your Independence Day celebration with Spatola’s Party Rental today! To get a free consultation on event rental equipment, call (585) 266-4200, or visit the website.